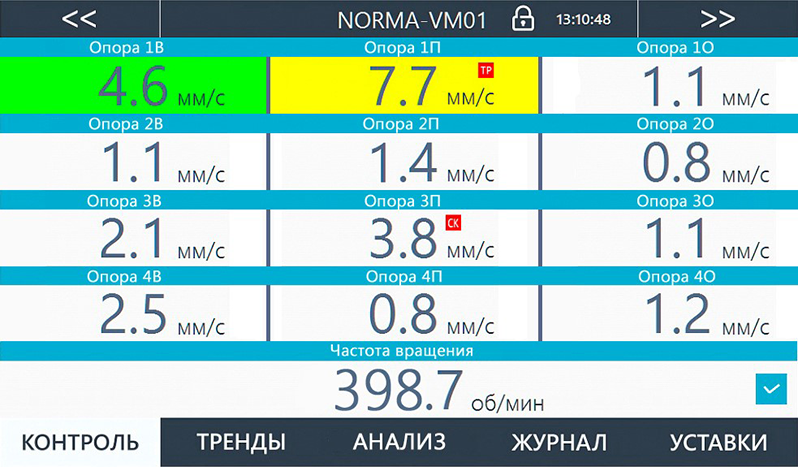 Other vibration and fur parameters. 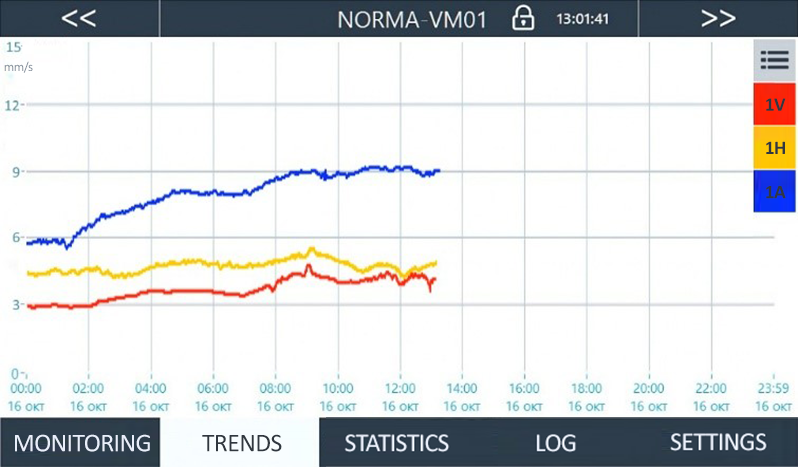 Values, temperature, current. The ability to duplicate information on an external widescreen monitor. Controls the display of trend. A bar graph displaying the maximum and average values for the period, and the current limit values. Automatic check-in excess of setting events, performance settings and malfunction. 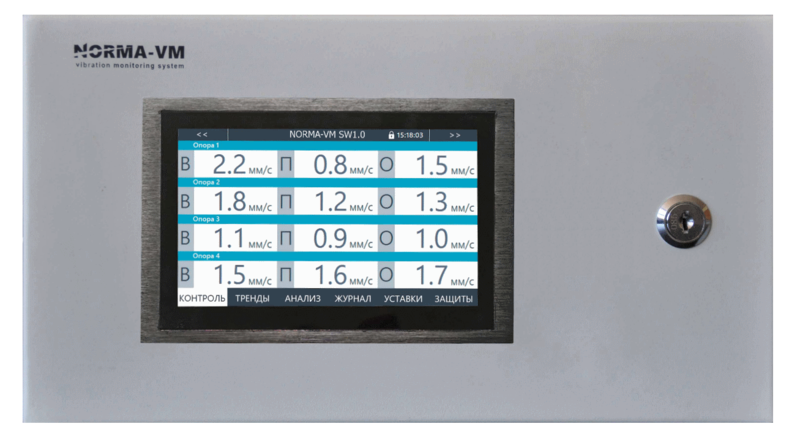 The system is equipped with measuring channels for vibration of supports NCD0110R2 and the channel of rotation frequency and phase synchronization NCD0411. 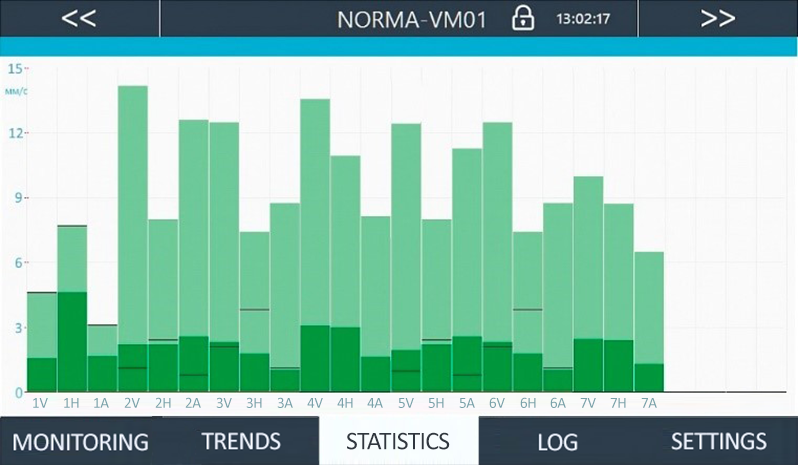 To configure the system, view and analyze the archived data, the software package NORMA-VM SW1.0 Exh&Fun. Integration with external devices and systems of the enterprise (for example, ACS TP) at the level of field equipment of the line 4...20mA and/or level control devices via Ethernet, Modbus TCP/IP and/or 4...20mA. 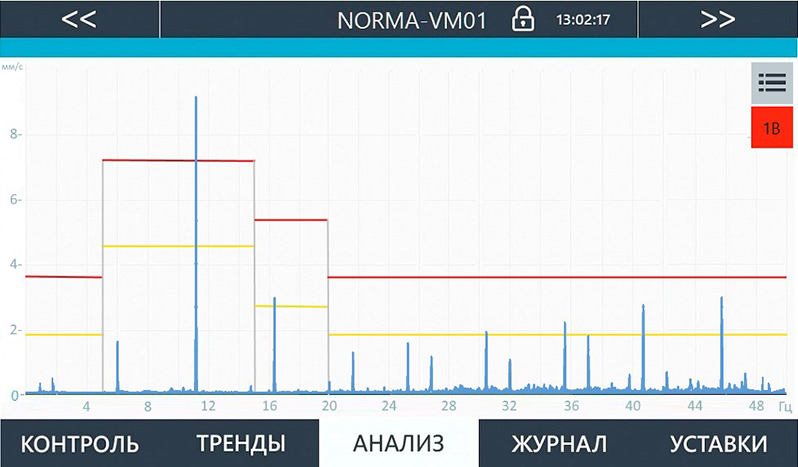 The software NORMA-VM SW1.0 Exh&Fun provides all the necessary tools for monitoring the technical condition of the unit. The system complies with the General rules of explosion safety for explosive hazardous chemical, petrochemical and refining industries. Autonomous standby power supply unit. 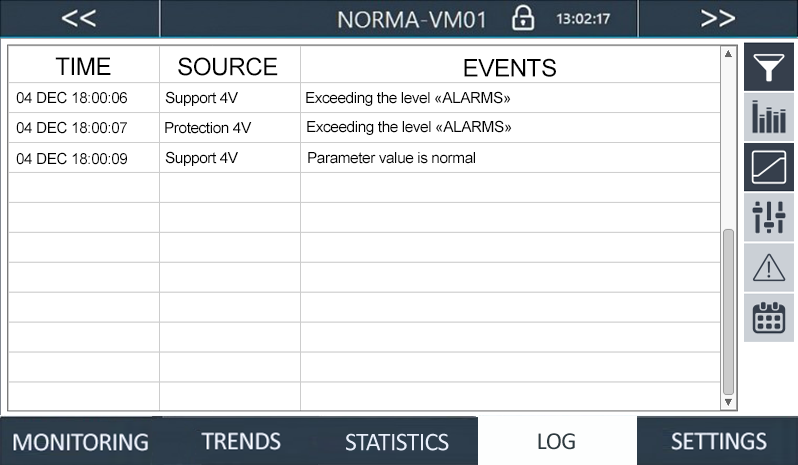 Manual or automatic unlock on transient modes of operation of the unit. 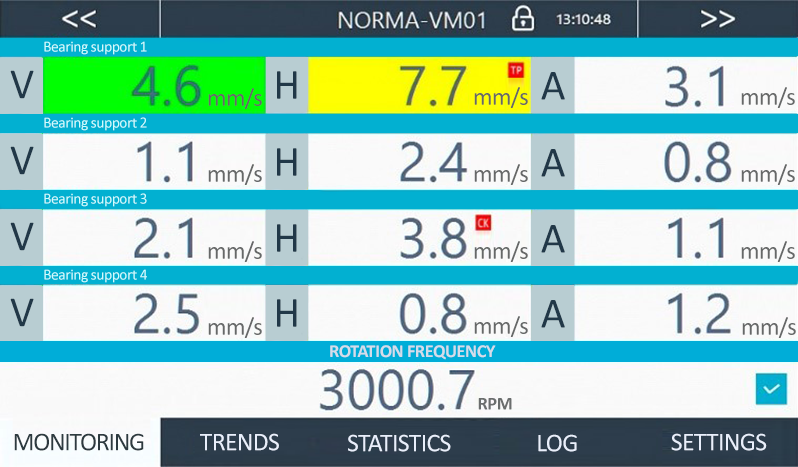 Removing blocks in transient modes of operation of the unit in both automatic and manual mode.